Noelle Tannen and The Filthy No-No’s are a band of sonic force lead by a singing songwriting powerhouse. 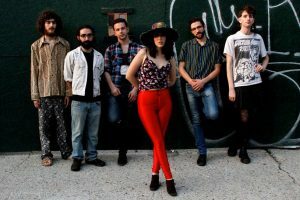 Their sound is a theatrical synthesis of Soul, Jazz and a touch of Rock and Roll as Noelle Tannen’s eclectic vocal approach defies any single standard. This music will rock you and move you. Baruch and Noelle discuss the music and the US election, and we’ll hear selections from the new CD Noelle Tannen and the Filthy No Nos and from Noelle’s first CD Survive. Music by: Adham Shaikh, Noelle Tannen, Noelle Tannen and the Filthy No Nos, and Laura Nyro.